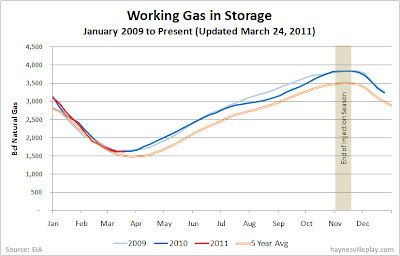 The weekly EIA working gas in storage report showed a 6 Bcf net withdrawal, bringing the gas in storage to 1.612 Tcf. The weekly withdrawal was greater than last year (a 7 Bcf injection) but lower than the five year average (-17 Bcf). 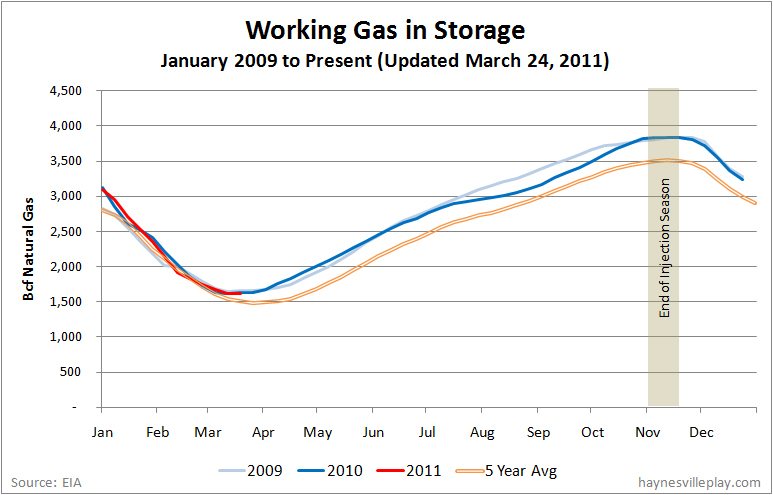 The current storage level is 12 Bcf (-0.7%) lower than last year but 34 Bcf (+2.2%), higher than the five year average. Temperatures in the Lower 48 averaged 47 degrees, 1 degree cooler than last year and three degrees warmer than average.